Combined Heat and Power (CHP), or Cogeneration, is the sequential or simultaneous generation of multiple forms of useful energy (usually mechanical and thermal) in a single, integrated system. In conventional electricity generation systems, about 35% of the energy potential contained in the fuel is converted on average into electricity, whilst the rest is lost as waste heat. CHP systems uses both electricity and heat and therefore can achieve an efficiency of up to 90%, giving energy savings between 15-40% when compared with the separate production of electricity from conventional power stations and of heat from boilers. CHP systems consist of a number of individual components—prime mover (heat engine), generator, heat recovery, and electrical interconnection—configured into an integrated whole. The type of equipment that drives the overall system (i.e., the prime mover) typically identifies the CHP unit. Co-firing of biomass with coal and other fossil fuels can provide a short-term, low-risk, low-cost option for producing renewable energy while simultaneously reducing dependence on fossil fuels. Biomass can typically provide between 3 and 15 percent of the input energy into the power plant. Most forms of biomass are suitable for co-firing. 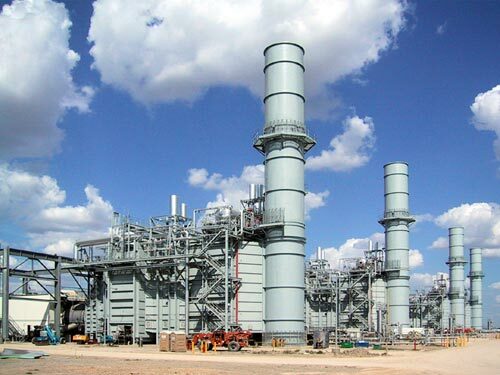 Recently ARAMCO announced the signing of agreements to build and operate cogeneration plants at three major oil and gas complexes in Saudi Arabia. These agreements demonstrate ARAMCO's commitment to pursue energy efficiency in its operation. Upon completion, the cogeneration plants will meet power and heating requirements at Abqaiq, Hawiya and Ras Tanura plants. These plants are expected to generate a total on 900MW of power and 1,500 tons of steam per hour when they come onstream in 2016. Tagged Aramco, Biogas, Biomass, CHP, CHP in Middle East, Cogeneration, Combined Heat and Power, Electricity, Energy, energy efficiency, Gas Turbine, Heat, Microturbine, Middle East, Prime Movers, Saudi Arabia, Steam Engine, Stirling Engine, What is CHP. Bookmark the permalink. from where i can buy Stirling engine?